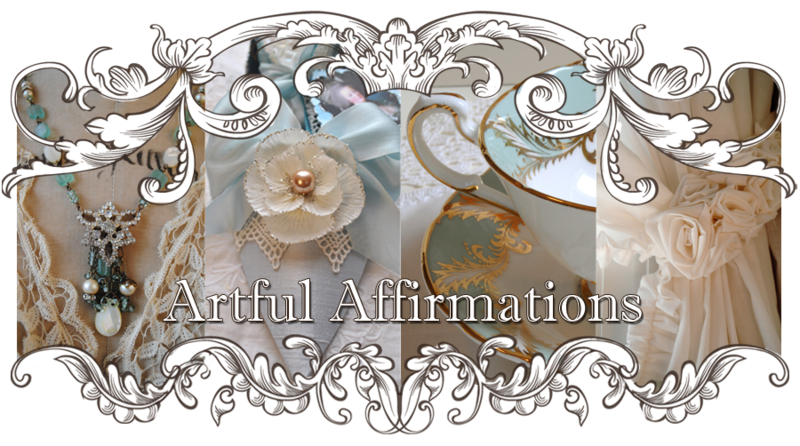 Artful Affirmations: Tea Cup Tuesday French Cups! Terri, the lst thing I noticed was the long, loopy handle! So elegant! Happy 'Teacup Tuesday'and thanks for hosting!! Have a marvelous,fun and creative week and happy St. Paddy's day! Terri, whether your cups are old or new, they are absolutely gorgeous! 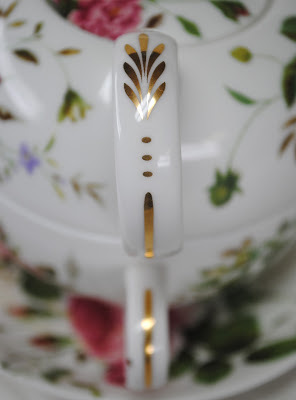 The handle and the gold leaf design are so elegant. I would think you felt like royalty drinking from them! I think you made a beautiful choice! this cups are truly elegant and I can see, how fine the china is. This wafer-thin china is so nice for having tea from this cups. The handles are exquisit. Really a treasure. What wonderfully elegant cups, tres chic! As others have said, those handles are a beautiful feature. 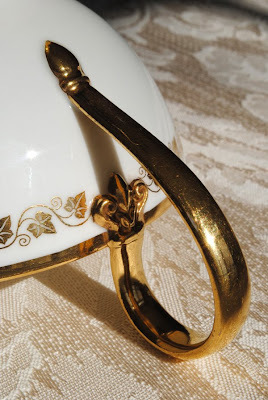 I love the handles and the shape of the cup, the ivy trailing around the rim is so luxurious without being overboard in any way - beautiful! 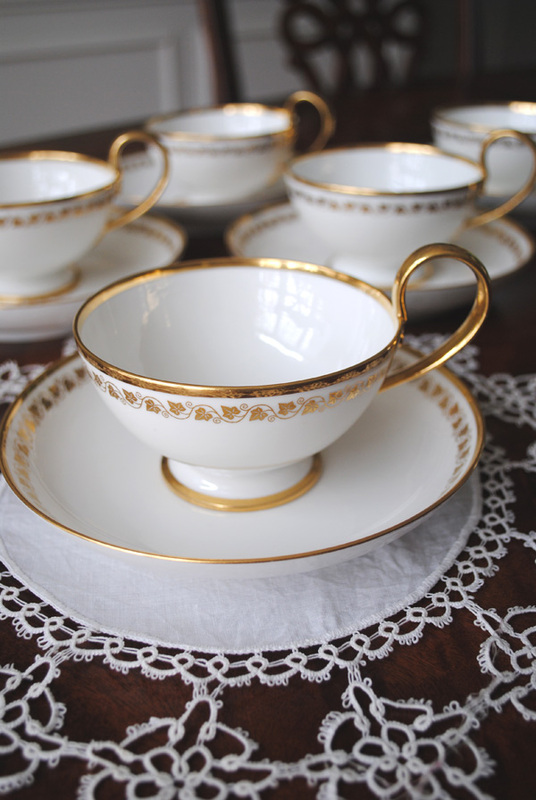 These are beautiful, classically beautiful, teacups.They could be used in any tea or table setting.Everything about them is classic, so if they are knock-offs, they might as well be the original for their simple and elegant beauty. Your new teacups are so elegant. I love teacups with simple designs...classy! Wow..so beauiful Terri...I am in love with that massive handle..so unique! yes very french!! Gorgeous!! 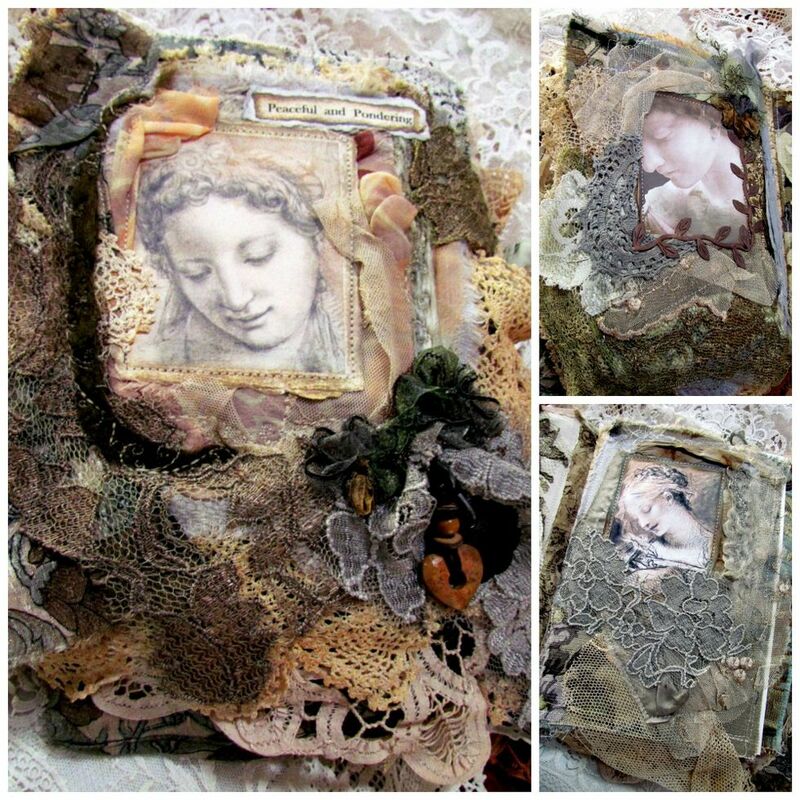 Thanks for sharing more treasures! !Happy Tea! the teacups are absolutely GORGEOUS! The details on the handles are A MUST HAVE! Really happy that you got them for you. And thanx for sharing with us! Yep...just like everyone else the handle did it! Lovely. Thatnks for sharing...I would have picked them up too! So elegant. Love the detail. What a gorgeous handle. oooo-la-la! Terri, the cups are lovely, and the handles are exquisite and unusual. They cleaned up nicely. What a happy day when you found them. Oh what beautiful french elegance! They are very pretty, and I love the handles! Thanks for hosting today! I am so happy that you had a wonderful Birthday. Thank You Terri for sharing your lovely teacups they are all so unique and beautiful...hope you are doing well! Cheers! 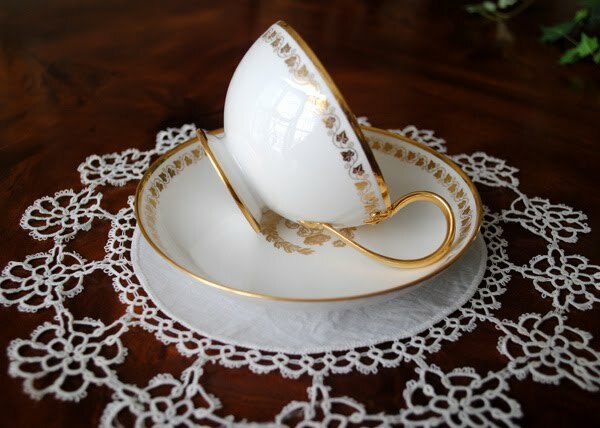 What an elegant teacup! I so enjoyed the history you shared today. I had no idea that King Louie had the interest in china that he had. Very interesting fact! 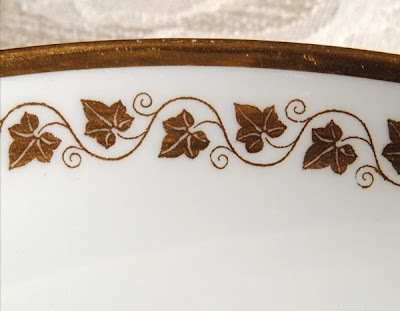 I love the handles and the gold ivy running around the cup! 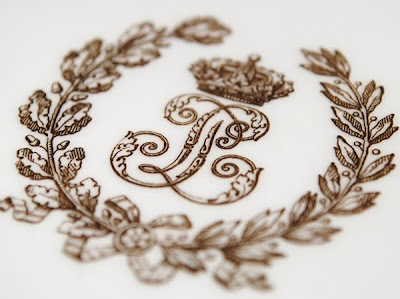 Thanks for sharing an exquisite teacup! I love this tea set. They are just so simple and elegant. What a treat to be able to drink from them. 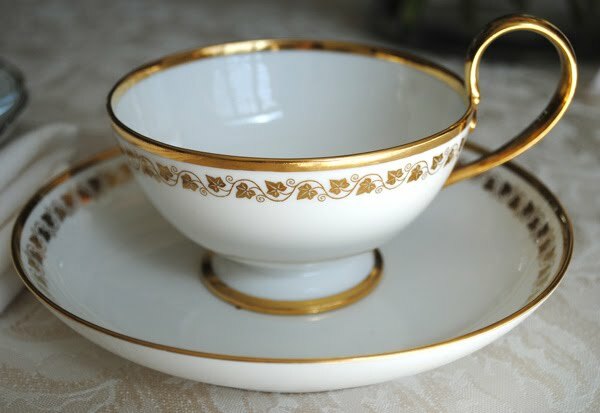 The handle on that French cup with the gold is gorgeous! What a beautiful collection. Love that! These are just so elegant! They can be used with any colors and any style of Teascape too!! You really do amaze me with your tea cup collection. These are little beauties and i love the gold handles, kind of reminds me of my mother's tea pot which i have! Love you my BFF! 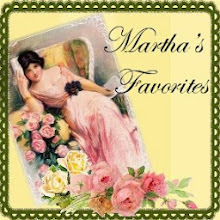 Terri-just link up your favorite recent post--those flowers would be fabulous and I'm sure there are many other goodies on your blog! Then make sure you link back to the party with a button or text link. That's it! Your new teacups are very lovely. Great find! They make me want to go to antique shops and thrift stores for tea cup hunting myself. 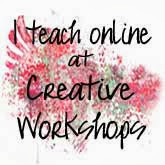 Ok, Terri, this comment has absolutely NOTHING to do with tea cups but I wanted you to know that I spent the better part of Monday afternoon watching your faery school tutorials...I LOVED every minute! What patience and attention to detail! I am holding myself back from doing one until I get all my "to do" list done for spring break!! 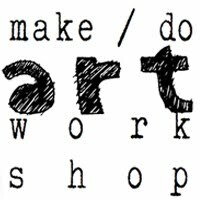 Thanks for taking the time to post such wonderful tutorials...I can't quit thinking about those little chairs!! Oh Terri, this is so beautiful! 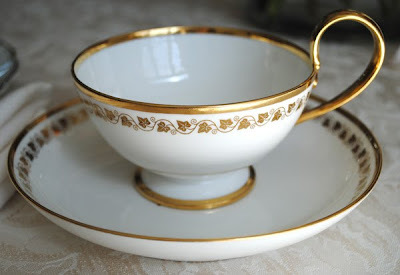 elegance is the word.. especially the handle and very fine teacup indeed! 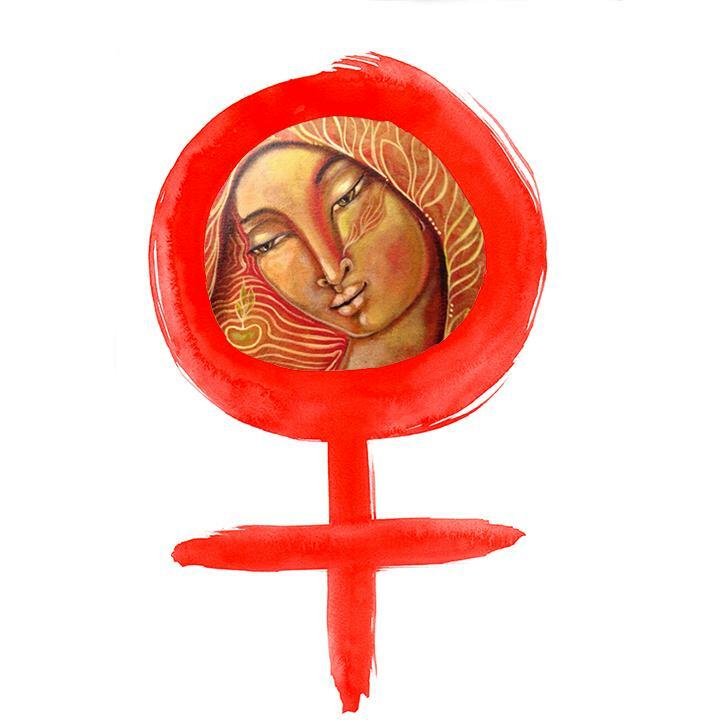 Thanks for sharing and hosting and wishing you great week! They are not 'plain' at all! They are almost like a fancy contemporary style..I would love those here in my white loving home!! 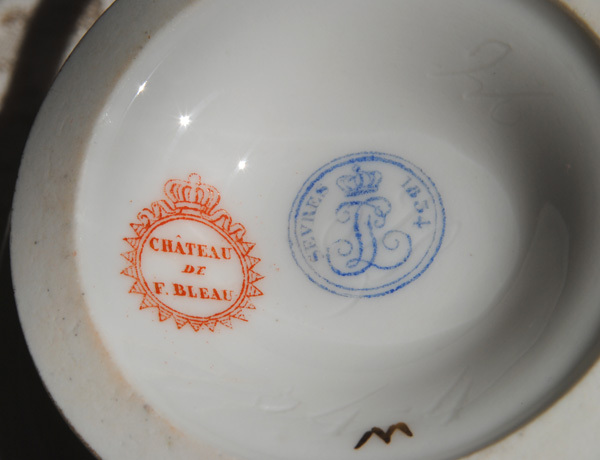 What an elegant cup and saucer, so French. I love older French designs and what interesting history you posted about you sets. I love these, they are so elegant. What a treasure you found. Your post is absolutely beautiful - I love your cup and the precious basket. 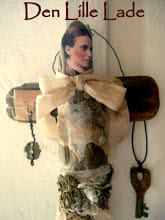 I am marveling at this delightful post!! Thank you for hosting the best tea parties! These are lovely cups, and they have just a distinctive handle. I have never seen one like this before. Such fun for you! I so love these tea cups! 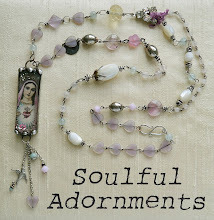 They are so elegant and will go well with any teascape!! These are so dainty and elegant. I love that beautiful gold handle. Very pretty! 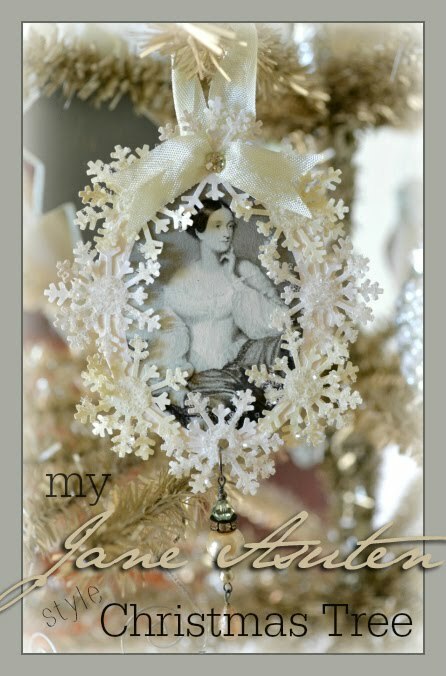 Love the pretties!! So glad your birthday was happy.